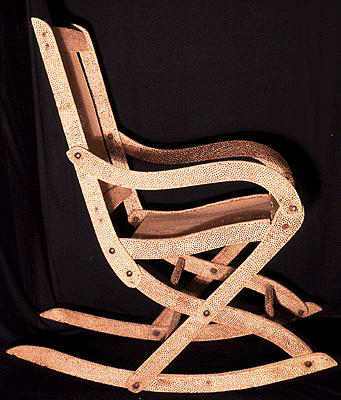 Frailty was inspired by looking at this rocking chair one day, and wishing desperately that I could see through it. I started much later, when the desire wouldn't go away. It took 3 months and over twenty 1/8" drill bits.